The montage for my son's bar-mitzvah was even better than I could have imagined! Jenn made the process so easy and she was a pleasure to work with! Jenn made a montage that we will watch over and over. She really captured who Drew was without even meeting him! When you are planning a big party, it is always nice when something is as simple as getting this montage made was. All I did was give my pictures in the order they needed to be in and I got an amazing finished product. I would definitely recommend Caramel Studios to my friends- they have all asked me who did it! The montage was excellent - Jenn did an amazing job! She is passionate about her work; unbelievably flexible, easy to work with and a complete pleasure! She met with me two times and spent a lot of time with me to go through thoughts, music, pictures and the overall feel of the montage. I would definitely recommend her to a friend and I did, and she used Jenn for her son's Bar Mitzvah too! Like many people, I thought I could create my son's montage myself. And then panic hit! My friend recommended Jenn and she stepped in to save the day. Literally. We met and she quickly understood my vision and took the project off my hands. Phew! What resulted was a fabulous video reflecting my son and our family. It was perfect.I would absolutely recommend Caramel Studios and I already have. Jenn is so pleasant to work with and made the whole thing easy. We hired Caramel Studios to create a montage for our son's Bar Mitzvah. I had heard wonderful things from many people who had great experiences working with Jenn in the past. She was very good at communicating updates with us and made it super easy to get her all the photos and videos. She did a great job selecting the music as well as grouping the photos together. We were very happy we gave her creative freedom - it was such a highlight at our party! 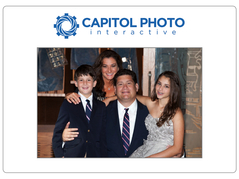 We will be sure to work with Jenn again for our daughter's upcoming Bat Mitzvah! Jenn is awesome! She created an original montage for our son's bar mitzvah that totally captured his personality. Jenn was a delight to work with, and she never stopped until we were all excited about the final product. The service level and originality make Caramel Studios unique. We will be using her for our daughter's bat mitzvah in a couple of years! I loved the montage Caramel Studios created for my son's Bar Mitzvah. I got so many positive comments and at least 10 people have asked me for her number to create their video/montages. She was easy to work with, relaxed and very creative. Excellent customer service and Jenn's creativity make Caramel Studios unique. The montage was my absolute favorite memory of the party! Jenn created an amazing montage for my son's Bar Mitzvah. She was very patient and professional, and was willing to do whatever it took to deliver the perfect product. The montage was great! Very happy with it and I smile every time I watch it. I initially found Caramel Studios through my party planner, but it turned out that many of my friends had worked with her. Jenn creates your montage with the same care attention to detail that she would if she were making it for her own family. Thank god for Jenn! I was looking for someone to do the montage for my daughter's Bat Mitzvah but wanted someone who would understand my vision and translate it as opposed to using a standard template. I am so lucky that I found Jenn. Her work exceeded my expectations. She was really easy to work with, had great creative ideas and delivered an end product that was the hit of the night. I can't say enough about how great Caramel Studios is! Jenn has made 3 montages for me. Each time I think there is no way it could be as good as the last, but Jenn always amazes me because they always are! She is the only one I would ever trust to make a montage- she is the BEST! My family used Caramel Studios for our son’s Bar-Mitzvah. Jenn helped us with a Montage as well as an Entrance Video. We could not be happier with the results. She worked very hard to achieve our dreams and never let up until it was exactly what we wanted. If there was something needed that was not in her realm of her expertise she guided me to the exact person I needed. Our party was enhanced in a big way from the Video and Montage. I could not thank Jenn enough for being easy to work with, her quality, and can do attitude. I will be calling her soon for the next Bar Mitzvah! I had the extreme pleasure of working with Jenn DelAngelo of Caramel Studios on the Bar and Bat Mitzvah video montages of our son and daughter. On both occasions, Jenn created the most beautiful montages that were creative, unique, fun and entertaining - exactly what we had hoped for! Jenn is highly talented, dedicated, patient, detail-oriented and very accommodating - a true professional. We could not have been more thrilled and look forward to working with Jenn on future videos in the years to come! I first used Caramel Studios for my son's Bar Mitzvah montage three years ago. Jenn did such a fabulous job, I hired her again for my daughter’s this past October. I chose my photos and Jenn took them and made a fabulous compilation with them. The special effects, speed and music all worked so well together. It is a relief to use her and know it will be done right, and it is one less thing you have to worry about during such a stressful time of preparation. I believe a montage is a gift for the person you make it for to cherish for the rest of their lives. Jenn came to the rescue to help organize and create a memorable montage for my daughter's bat mitzvah. With hundreds of photos and videos, Jenn produced a beautifully choreographed digital memory that we will have forever and view many times in the years to come. Jenn DelAngelo is extremely talented. Throughout the entire process, Jenn was instrumental: selecting the pictures; structuring them in a coherent way; designing segues; selecting music and of course the final construction and editing of the piece. Jenn was extremely patient and an absolute pleasure to work with. I would highly recommend Jenn to anyone looking to create a timeless keepsake for their family. Jenn was a delight to work with. She worked very hard to create the montage that we envisioned, and she did an amazing job. She is professional, detail oriented, and creative. I will definitely use Jenn for any montage I need in the future and can't wait for the opportunity to work with her again! I was so thrilled with the fantastic montage that Jen put together for my son's Bar Mitzvah. The organization of the photos and videos created a great flow, the backgrounds Jen used in many of the frames added a unique touch, and her suggestions for which songs to use were perfect. Working with Jen was a pleasure, and I (and my son!) could not be happier with how the montage turned out. We were so thrilled with Jenn’s video montage for our daughter's bat mitzvah that we hired her again for our son’s bar mitzvah two years later! She made the process so easy - we just handed over the photo files with our music choices and we received a beautiful, personal montage that was just perfect. She was also able to easily incorporate artwork from the invitation and logo, so it blended perfectly with the party. Jenn is extremely professional and accommodating - no one is easier or more pleasant to work with! Her only goal is that you love your final product! I have been using Carmel Studios for years, and with each montage creation the reaction from my audience is always the same, WOW!! Jen is a pleasure to work with and has creative ideas that have made each of my montages spectacular and truly one of a kind. Jenn is incredibly professional. She produced a high quality, moving video for my Dad's 80th which captured the emotional appeal of what my family wanted - a video that touched the hearts of all who loved him - a video that will be cherished for generations to come. Caramel Studios is built on referrals, so TESTIMONIALS are always very much appreciated! Kindly fill out the form below if you would like to share your experience!